The other day, a friend of mine on Facebook proudly announced that his master’s thesis had been published into a book by a German publishing company called Lambert Academic Publishing. Several people congratulated him. But I didn’t. I knew he had been scammed—and that he would in turn unwittingly scam the Nigerian university system where he works as a lecturer. “I am writing on behalf of an international publishing house, Lambert Academic Publishing. In the course of a research on the … I came across a reference to your thesis on "...". We are an international publisher whose aim is to make academic research available to a wider audience. Your reply including an e-mail address to which I can send an e-mail with further information in an attachment will be greatly appreciated. I am looking forward to hearing from you. In reality, the publishing house merely prepares a camera-ready copy of the manuscript, prints and mails a free author’s copy of the book, and waits for orders. The company makes money when the author’s friends and relations place an order for the book--or when the author purchases extra copies of the book to share with friends and family. Since they print only when an order is placed (thus the name “print on demand”), they lose nothing. I am told that authors from the Third World are required to pay for their author’s copy. The front- and back-page prototype of the book will be displayed on the publishing company’s website and on Amazon.com—and that’s it. You will never find the book in any bookstore or library. There is no media publicity for the book by the publisher, no advertising, no marketing, no distribution, and no critical reviews in academic or popular journals. The author is promised royalties if the book sells a certain number of copies. Of course, no print-on-demand book sells enough copies for the author to earn any royalties. 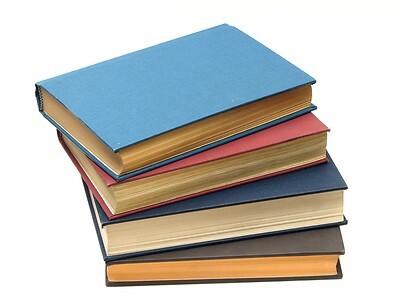 Here is why Nigerian university administrators should be concerned about print-on-demand books. One, they do not go through any kind of review before they are published. In fact, many people have experimented with sending a farrago of mumbo jumbo to these publishing companies to see if they will be published. And, sure enough, they often get published. No manuscript sent to print-on-demand publishers is ever returned as unpublishable, however awfully it may have been written. As most people know, only peer-reviewed books can count toward promotion in academia. Two, they have limited or no materiality. By this I mean that there are usually no more than a few copies of the “books” in circulation. That means they add nothing to the disciplinary conversations of their areas since they can’t be found in libraries and bookstores. In other words, they are basically worthless. Third, our people have been brainwashed into thinking that anything published in the West must be of high quality. 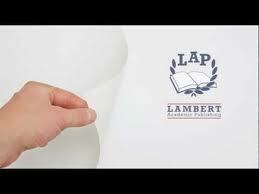 People may innocently think Lambert is a legitimate academic press because it has a German address. Before you know it, many people will be promoted to professors based purely on fraudulent books they publish with the company, which American writer Victoria Strauss aptly called "an academic author mill". That would be unfair to people who struggle against all odds to produce high-quality scholarship. Many countries are waking up to the academic fraud that print-on-demand books are. The Australian Higher Education Research Data Collection (HERDC), for instance, has blacklisted books published by Lambert Academic Publishing. The Nigerian Universities Commission (NUC) has a responsibility to do the same. What you appear to forget is that traditional printing presses as we once knew them are increasingly becoming a fading practice, in the light of prolific advances in modern technology especially the internet. Perharps nothing can drive this point home more forcefully than the very example of your blog page on which we are now communicating. Advances in modern technology increasingly render obsolete hard copies of books and other documents in paper form, and it is left for the academia that relies on dated methods of hard copy printing as a standard for veryfing credible academic publications to devise ways to align itself with this emerging reality. Most people nowadays lack the patience to continue the fossilized practice of seeking university presses or other publishing houses before introducing their intellectual products to the public domain. Electronic books, for example, are superceding hardcovers in popularity and the reading culture has since migrated to digital platforms like kindle. The problem, my friend, isn't the print-on-demand publishing model; it is the lack of quality control of the model. My friend, the quality assurance to which you allude is a concern peculiar only to academia, which preoccupies itself, perharps justifiably, with establishing standards like originality and academic rigour in their publications, capisce? My point precisely! I wasn't writing about popular publishing. The appearance of "Nigerian universities" in the title of my article is the clearest indication that I was concerned only with academic publishing. Peer-review is central to the integrity of academic publishing. Lambert Academic Publishing--and other print-on-demand publishing houses--don't have it. And that is profoundly problematic. Sadiq! No disrespect please, but you ought to leave a space after comma, as well as after fullstop. And start you sentence with a capital letter. Check the dictionary for spellings you are not sure of. And lastly proofread your document. Please. I second mohd Abdullahi's comment!With all due respect...haba!If not anywhere,but at least on this blog page. *tongue in cheek o*! Sorry again!! It's Mubarak not Mohd!! Sadiq thanks for the cultured response. Keep reading attentively and critically. Remember, knowledge cannot be obtained while the body is at rest. 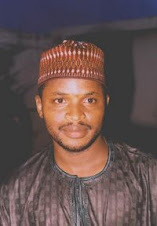 mubarak!pls vst me @diaryofsq.blogspot.com. I write on politics and any other interested isues.Also meet me @fcbk via miuvsq@yahoo.com.so that we can become frds. Aisha thanks for the support (and the correction). I hope I warn't harsh, but Sadiq really provoked me. I felt as if he was a person dishonestly distorting truths. I don't have a facebook account but will check out the blog. Thanks.